Hollybeary Creations : Hello There Friend!! Happy Wednesday everyone... I hope you are having a great week. Today is my final post for Perfect Paper Crafting blog and this month we are teaming up with Right at Home! 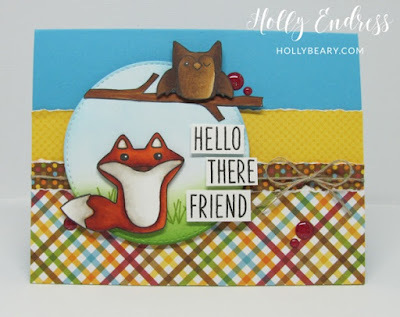 I created a cute card using the RAH Simple Sentiments set and two new just released sets, Deerest Friend and Friendly Fox. I'm also showing you how to use the Tearing Edge tool from Perfect Paper Crafters.